We offer Paper and Packaging Testing Instruments to provide accurate measurements and durability, thus, highly demanded among our clients. 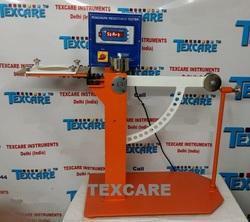 We fabricate these instruments using high quality measures and supplied at reasonable price. We manufacture Paper GSM Cutter, Paper GSM Scale, Quadrant Scale, Paper Bursting Strength Tester, Bursting Strenght Tester for Board and Corrugated Box, Tearing Strength Tester, Tensile Strength Tester and many more. 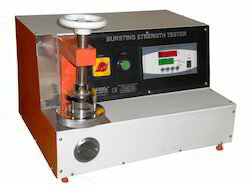 Computerised Bursting Strength Tester is used to determine the bursting strength of any type of corrugated boxed, paper and board by using hydraulic pressure. The bursting force is measured by a microprocessor-based digital indicator and processed through software. Result shows in digital display and as well as computed attached with Bursting Strength Tester. Machine can be operated by computer and manual both. 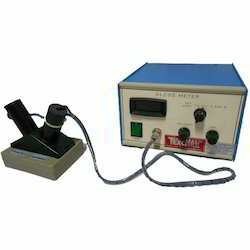 Box Compression Tester With Variable Speed Drive: (Computerised) is used to determine compression strength of any package Box. 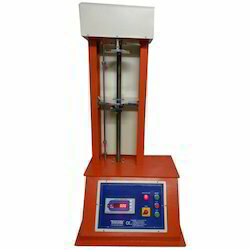 Box Compression Tester is designed to quantify box or container performance so that the effect of various board mediums, closures and interior partitions can be plainly compared by means of Load & bend analysis. 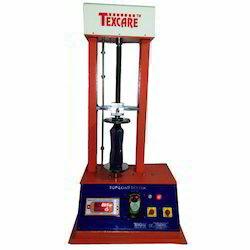 TEXCARE Box Compression Tester is manufactured to meet the requirements of the Paper & Packaging Industries according to International Mechanical Standards. It is ergonomically designed and easy to use. Cardboard boxes should possess sufficient compression strength so that they do not get deformed or crushed when stacked one above the other either during transit or in storage. The compression strength is determined by placing the box on a flat platform and pressing it down from the top with the help of another flat plate by a motorised arrangement. 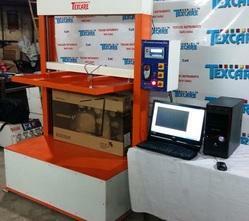 Teccarez Box Compression (Motorised) for Duplex and corrugated cartons with Bright LED Digital Display. The unit comes complete with over travel protection;`TARE' and `P/H' (Peak Hold) facility. 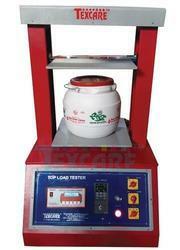 A low cost compact tester for the packaging industry. The equipment is very rugged with heavy cast iron base for stable performance at load. The highly sensitive load sensor is strategically placed to enable perfect corner to corner load results. Our ranges of products include Box Compression Testers fabricated using superior quality materials that are tested for their quality and efficiency. 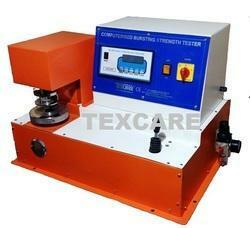 Edge Crush Tester (ECT) is rugged enough for any production testing environment. It is the ideal testing equipment for paper making, packaging, quality inspection department and more. 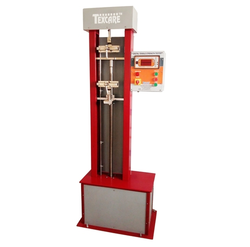 Edge Crush tester Digital (ECT) is a useful equipment for determining the probable compression strength of corrugated and solid fiber board boxes by testing the paper and paper-board used in making such boxes. We are one of the leading Manufacturer of Bottle Cap Torque Tester used to determine Torque Strength to open cap of Bottles, This machine is used for Pet Bottles, Glass Bottle, containers etc. This machine having digital load indicator dipslay Torque in kg and N, The instrument is designed and manufactured in the compliance with all the international standards hence it is also compatible with all the international markets too. 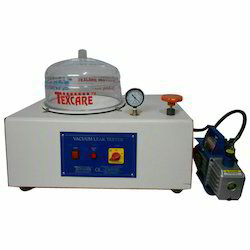 The instrument comes with a complete conformance certificate and user manual for easy operation. 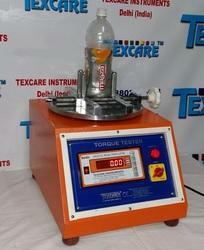 We are offering a Paper and Packaging Testing Instruments to our clients. 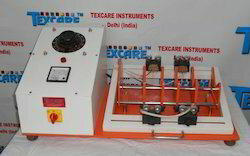 Punchure Resistance Tester is used to determine purchure resistance of Corrugated Board by measuring the energy to required to punchure it. Over-travel protection for both directions. Variable Speed drive (10 to 50 mm/min). 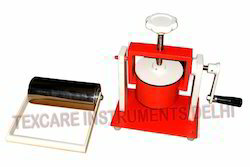 Cobb Tester is used to determine the Water absorption property of Paper, Paper Board and Corrugated Fibre Board. ON/OFF Green light switch (mains). We are a well-known company to offer an excellent quality Hot Wire Bottle Cutter, manufactured under the stern guidance of our experienced professionals using the finest quality components. 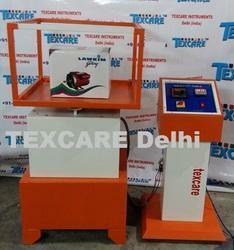 It is mainly used to cut the pet bottles in pieces as per the application requirement. PET bottle test sample of capacities 200 ml to 500 ml (largest dia =110 mm) can be precisely cut in 3 parts: bottom; cylinder and top. Each of these parts having exact assigned weights; to comply with the quality specification obtaining an ideal wall thinness distribution. This guarantees the physical and mechanical quality requirement. The product process in being controlled on a statistical basis by checking the weight of the cut parts. A defined amount of vacuum is created in the chamber to measure the consistency of the strength of the leak-proof resistance of foil packaging. This is prepared in order to support that the seals are unbroken; it is principally the last test performed before storage and warehousing. 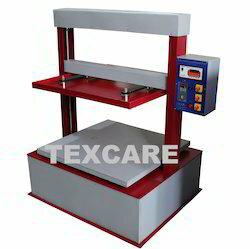 We are manufacturer & Exporter of Vibration Table used for Packaging.